Losing touch with the world and with loved ones is a frightening prospect for the more than 5 million Americans with Alzheimer’s disease, the most common cause of dementia. There is no known cure for Alzheimer’s, which is the sixth leading cause of death in the United States; however, there are a number of simple things people can do to improve the quality of life for sufferers and ease the stress for their caregivers. Clinical psychologist Dr. Deborah Forrest has been doing research into aging and dementia for 20 years. 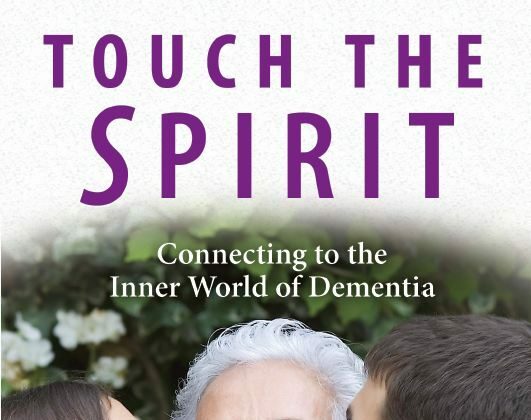 Her latest book, “Touch the Spirit: Connecting to the Inner World of Dementia,” explores ways for families to reconnect with their confused loved ones and combat the stress of looking after them. Forrest says that heart-to-heart connections between caregivers and persons with dementia are important. “Understanding that they can still have a connection to the person with dementia often helps them cope with the progressive decline in the person’s body that comes with Alzheimer’s,” she wrote in an email. “Knowing they can ‘talk to the heart’ of the person seems to help them feel connected to the person with dementia,” Forrest wrote. Dementia generally manifests as a loss of memory, judgment, and abstract thinking, and can bring about changes in personality. Most people with dementia are elderly, yet the condition is not an inevitable part of aging, as there are specific brain diseases at the root of dementia. Alzheimer’s disease is the most common cause, followed by vascular dementia or strokes, Huntington’s disease, and Parkinson’s disease. Alzheimer’s develops slowly, getting worse over the course of years but ultimately leaving patients with severe memory loss and unable to perform daily tasks. Recollecting positive memories, listening to music, spending time with children and animals, and painting can all help people with dementia. Tapping into an afflicted person’s positive memories can provide comfort and meaningful contact. Dr. Forrest recommends talking to people with dementia about earlier periods of their lives, letting them recall memories that touch their emotions. “Tap into that person’s passions,” she said. She first encountered the power of music to touch patients with dementia when working as a hospital nurse 20 years ago. Forrest recalled that many of the patients were unable to speak or respond to verbal questions and were “out of it.” One day she saw a nurse play a video of a church group singing “Amazing Grace.” Listening to the song caused the profoundly demented women and men to tap their feet to the rhythm, sing along, or nod their heads, while others just smiled. “They all had some measure of recognition of an earlier time in their lives. They all showed some form of recognition of this song and its music. When the music was over and the tape was removed, they returned to their lives of solitude and silence.” Forrest said. A popular YouTube video captured another case of the profound effect of music. Henry was an elderly man with advanced Alzheimer’s who did not talk to anyone in the nursing home where he lived. A nursing staff member put headphones connected to an MP3 player over Henry’s ears and played a piece of jazz from the 1920s that Henry recognized. “Suddenly, Henry’s eyes opened wide, and his face lit up. He began to move to the beat of the music,” Forrest said. Several studies by the Institute for Music and Neurologic Function on the effects of music on people with dementia have found that familiar songs reduce depression and stress levels, improve mood, and increase conversation, cognitive functioning, and daily-living activities to a significant extent. If people grew up with animals or spent time with their children or grandchildren before dementia progressed, they can retain memory of making those connections. Spending time with children and animals can also reawaken positive memories. “Children and animals don’t have the same expectations of a person with dementia’s ability to speak, hold a certain position or demeanor—they’re far more accepting. “Animals have a sixth sense. They have a way of knowing and through this can connect with people with dementia,” she said. Art therapy with Alzheimer’s patients is proving a popular and useful tool to let them communicate their feelings without having to use words. Before joining an Alzheimer’s Association art group, Forrest said many dementia patients didn’t realize they had talent in art. She was also impressed with the detailed and vibrantly colored artwork they produced. One woman, who had advanced Alzheimer’s, had stopped speaking altogether. She had been a lover of poetry earlier in her life, so her private caregiver, a nun, decided to read poetry to her. After reading only a few lines of a very famous poem, the nun was shocked to hear her charge reciting every word of the poem along with her. While many of Alzheimer’s specific causes are currently unknown, a recent Swedish study found a significant association between stressful life events and the development of the disease. Over a 38-year period, the study examined different types of stressors in 800 middle-aged Swedish women, for example, getting divorced, suffering a serious illness, or seeing a close relative battle mental illness or alcoholism. Symptoms of distress such as fear, sleeping problems, and irritability were also examined. One out of eight women in the study developed Alzheimer’s, and the study concluded that their stressors could be causal factors. “Common psychosocial stressors may have severe and long-standing physiological and psychological consequences,” a report of the study said. Since many dementia caregivers eventually develop Alzheimer’s themselves, the Swedish study underscores an urgent need for better coping strategies for highly stressful situations, Forrest said. Research into stress management as a form of dementia prevention is virtually unexplored. Forrest recommends that caregivers find ways to manage their stress, such as getting help with caregiving tasks, letting some daily routines go, giving their own bodies some special care, moderate “retail therapy,” keeping a journal of one’s thoughts, and last but not least—eating chocolate!